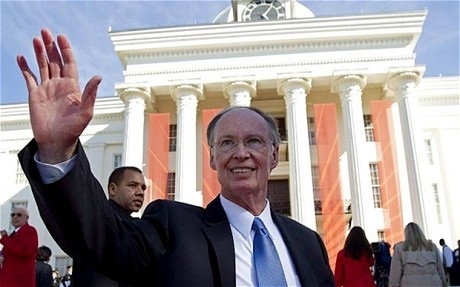 IS ALABAMA “LIGHTENING UP” ON HISPANICS? On March 1, the ACLU will be in court challenging the constitutionality of both Alabama and Georgia’s discriminatory anti-immigrant laws. Of the five Arizona-inspired laws to pass, only Alabama’s has had significant provisions go into effect. The result: divided communities and devastation to the State’s economy and reputation. Several realities are missed or ignored by those in favor of coercive policies like H.B. 56, that are meant to force immigrants to “self-deport.” One is the incredible resourcefulness of the community they have targeted. People don’t leave their home countries and travel thousands of miles to escape violence, repression, and grinding poverty without a willingness to endure hardship and to overcome obstacles that would persuade those of less resolute spirit to turn back. 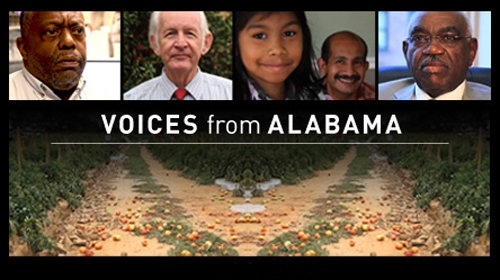 Having put down roots in Alabama and made contributions to their local communities, many immigrants are therefore willing to take a wait-and-see approach, and tolerate — at least for a while — outrages that are far out of place in 21st-century America. 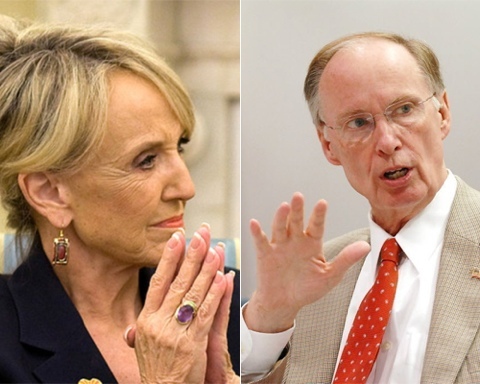 Alabama is fertile ground for outrage for anyone with a conscience. Although arrests and detentions of foreign auto executives make headlines, the everyday lived experience of H.B. 56 involves far more commonplace affronts to human dignity. Indignities like being denied water service for six weeks, even while your 9-year-old U.S.-citizen child falls ill for lack of running water in the home; or being told that without a valid Social Security number, you can’t have electricity at your home, receive emergency dental care, take classes at the local community college, or renew your lease — even though you are willing and able to pay just like the next person. Other frequent affronts to human dignity include being told that even though your family qualifies for federal food stamps or emergency medical care, you can’t have those services because the state has decided otherwise; or being warned that if you offer a neighbor a hand by providing a meal or a ride, you could be prosecuted for the new state crime of harboring; or being arrested by local police, not for any crime, but because the officer wants to check your immigration status — and besides, you were standing on the sidewalk for too long anyway. Not all of these consequences are actually mandated by H.B. 56, but such things happen when you enact a broadly worded law that, in the words of Rep. Micky Hammon, one of its sponsors, “attacks every aspect” of the lives of an entire community, in the hopes that “they will deport themselves.” It signals and gives license to those who think they either can or are now required to discriminate (and it doesn’t help when Rep. Hammon openly uses “Hispanic” and “illegal immigrant” interchangeably). Some recent reports have noted that amongst the thousands who fled Alabama last fall, some have returned. And it’s true: there has been a slight rebound in some places. Some have decided that even though life is far more difficult in Alabama than other places, it’s still their home. And so they will have faith that the State will come to its collective senses and remedy what has become a colossal self-inflicted injury; we’ve seen some state lawmakers calling for repeal, while others are considering measures that would try and mitigate the law’s widespread harms. Many families are counting on the courts and the compassion of their neighbors (immigrant, Latino, or otherwise) so that they can carry on with the lives they have built in Alabama. In short, despite all evidence to the contrary, some immigrants in Alabama continue to have faith in the American values they have come to respect and love as their own. I just hope their faith is not misplaced.